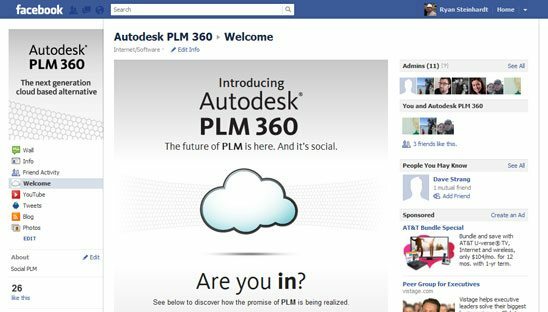 Welcome to the social destination for Autodesk PLM 360. Cloud based and intuitively easy-to-use, PLM 360 represents a radical departure from the traditionally complicated, hardware-based systems that have kept PLM from living up to its full potential. Based off of Autodesk’s branding we were able to develop a fun and exciting custom Facebook tab using WordPress CMS. Many unique sections on this page which include: Roundtable video carousel slideshow (using Fan Gate), Custom twitter feed, Poll, Events section and Blog feed (mash-up of 3 combined RSS feeds). As always, the WordPress backend is all custom developed so the client can easily maintain, add or edit any text or sections on this tab.